As part of the First World War Centenary: Honouring Canada’s Victoria Cross recipients series, today we remember the life and military service of Canadian Victoria Cross recipient John Chipman “Chip” Kerr of Fox River, Nova Scotia. Chip Kerr survived the war, while his brother Rollie, also serving in the 49th Battalion, was killed in late December 1917. Kerr rejoined the army at the beginning of the Second World War, transferring to the Royal Canadian Air Force with the rank of Sergeant. He died in Port Moody, British Columbia, on February 19, 1963. Mount Kerr, a 2,600-metre peak in Jasper National Park, is named after him, as is Chip Kerr Park in Port Moody, British Columbia. 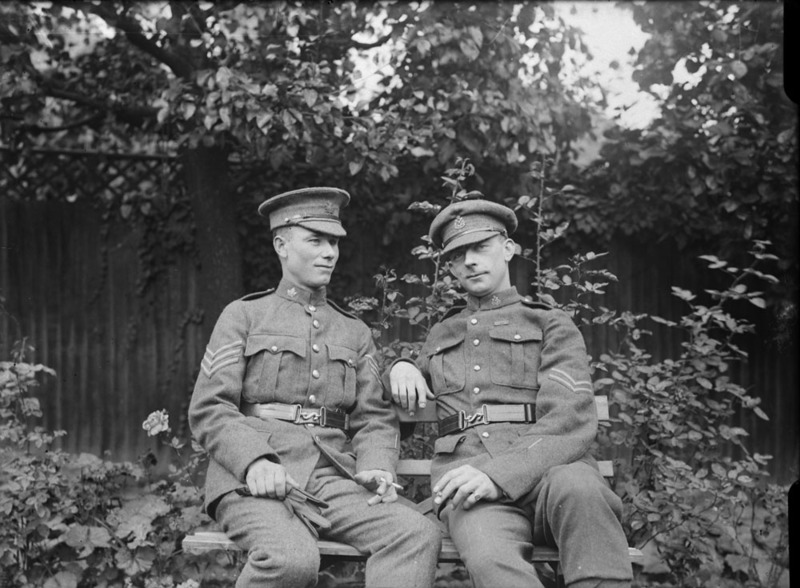 Library and Archives Canada holds the CEF service file for Private John Chipman Kerr and his brother, Private Charles Roland Kerr. I read in “First World War Centenary: Honouring Canada’s Victoria Cross Recipients” series, that Thomas O.L. Wilkinson is listed as a Canadian VC recipient. I strongly disagree. He was not struck off strength of the CEF and then transferred to an Imperial unit. Wilkinson’s service record at LAC’s Soldiers of the First World War states “The present whereabouts of this man is unknown. O.C. (Officer Commanding) 16th Battn says he did not proceed overseas with the Battn & Hdqts Canadians have no word of him being struck off strength.” “Granted a Commission in the Imperial Army Rank Temporary 2nd Lieutenant and posted to 7th Battn The Loyal North Lancashire Regiment.” dated 23 December 1914. There are many definitions of Canadian Victoria Cross winners. Library and Archives Canada bases the definition on the Veterans Affairs Canada website and the First World War Book of Remembrance. VAC have invalid criteria. Their site currently lists 73 “Canadian” VC recipients, including Philip Bent, Rowland Bourke, Robert Cruickshank, Edmund De Wind, Benjamin Geary, Michael O’Leary, Thomas Wilkinson, John Sinton, and Thomas Ricketts. The essential criteria to decide which country can claim the VC recipient is the uniform worn at the time of the deed. These nine VC recipients wore British uniforms at the time of the deed (Sinton was in the India Medical Service). Those who wore a Canadian uniform regardless of country of origin, domicile or immigration are Canadian VC recipients. This is also the criteria of the Directorate of History and Heritage (DHH) in Ottawa. DHH lists 64 Canadian VC recipients. See: Pro Valore: Canada’s Victoria Cross and their website. If a Canadian-born serviceman awarded the VC in a British military unit is deemed to be a Canadian VC recipient, it follows that a British-born servicemen awarded the VC in the CEF should be considered a British VC recipient. Accordingly, the 29 UK-born CEF VC recipients would be British VC recipients instead of Canadian. On the contrary, a Canadian-born VC holder who served in a British battalion is declared a British VC holder and a British-born VC holder who served in the CEF is declared a Canadian VC holder (e.g. Hugh Cairns). Both New Zealand and Australia have similar criteria. For example, a New Zealand-born VC recipient who served in the Australian Imperial Force is an Australian VC recipient. Sometime in the past year VAC added Benjamin Geary to their list, making it 73. Geary was awarded the VC while serving in the East Surrey Regiment, a British battalion. After the war he immigrated to Canada and lived out the rest of his life in Canada for 48 years. Why does VAC suddenly decide his is a Canadian VC holder? If VAC is comfortable with this decision, then VAC should add other VC holders who came to Canada after the Great War: Henry Robson, Joseph Tombs, Charles Train, and Robert McBeath. And why not add two temporary VC holders: Robert Ryder and Ronald Stuart who briefly lived in Canada? I implore you to read the three-part article called: For Valour: Canada’s Great War Victoria Cross Recipients” found at: http://canadianmilitaryhistory.ca/category/centre-blogs/ I want to emphasize that VAC criteria is not definitive, If you don’t want to read this article then at least consider using DHH criteria and refer to their 64 “Canadian” VC recipients. In addition as a dual citizen of Canada and the United Kingdom the higher number has led me to recall the decision I made to emigrate to Canada in the 1960’s. I believe it’s more important to remember each man’s valour than his nationality and the LAC continues to provide access to even more on- line material to aid that process. When I traced Henry Robson ,who Mr Pascal mentions, I found that it is likely that he sold his V.C. in order to emigrate to Canada in 1923. He eventually became Sergeant at Arms at the Province of Ontario Leglisature and died in 1964 at Sunnybrook (Veteran’s Wing) Hospital. When he traveled to London in 1953 to attend the Queen’s coronation I have to assume that he went with the Canadian contingent. So in my book he deserves recognition on both sides of the Atlantic. I went to the https://livesofthefirstworldwar.org/community/3691 site: “IWM Lives of the First World War: Canadian Recipients of the VC” and looked up Michael O’Leary VC. There are no references or links to Canada or Canadian there. So why is O’Leary included as a Canadian VC recipient? The resource site: Veterans Affairs Canada (VAC) used by livesofthefirstworldwar claims 73 Canadian VC recipients, but this is not correct. 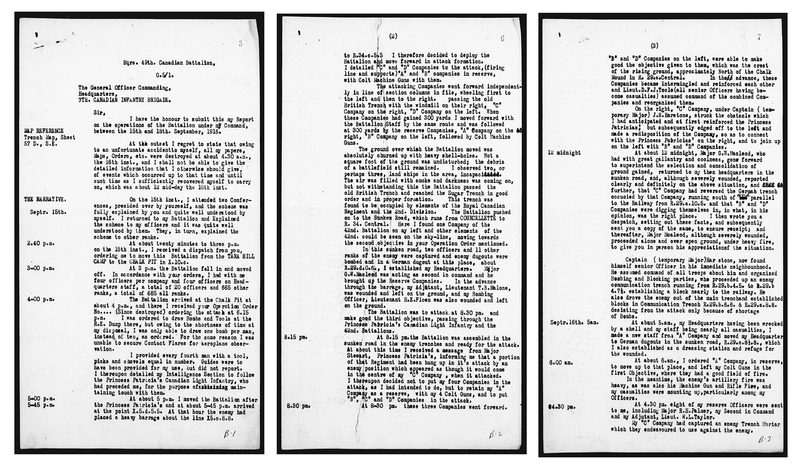 Nine of the 73 were not in Canadian military units at the time of the VC deeds e.g. not wearing a distinctive Canadian cap badge, collar badge or shoulder title as well as identity discs marked CANADIANS or CANADA. Recall that Benjamin Geary earned his VC while in a British military unit. Geary immigrated to Canada after the war and lived in Canada for the rest of his life, but he was still a British VC recipient. How can Canada and the UK both claim him as one of their own VC recipients? Inclusiveness leads to inflated counts of a country’s actual VC recipients. Believe me, “every man was remembered” and continues to be remembered.